Thorne Lay, professor of Earth and planetary sciences. Photo by T. Stephens. Thorne Lay, professor of Earth and planetary sciences at UC Santa Cruz, has been elected a fellow of the American Academy of Arts & Sciences, one of the nation's oldest and most prestigious honorary societies. Lay was among 212 new fellows and honorary members of the academy announced this week. He joins 23 other UCSC faculty who are fellows of the academy. Drawn from the sciences, the arts and humanities, business, public affairs, and the nonprofit sector, the newly elected members are recognized leaders in their fields. They include Supreme Court Justice John Paul Stevens, Nobel Prize winners Linda Buck and Craig Mello, filmmakers Ethan and Joel Cohen, and blues guitarist B.B. King. An eminent seismologist, Lay is known for his contributions to earthquake seismology, the use of seismic waves to probe the structure of the deep Earth, and the development of methods for monitoring the Comprehensive Nuclear Test Ban Treaty. He has served on many national and international committees, including the board of directors of the Incorporated Research Insitutions for Seismology (IRIS), which operates a global network of seismic monitoring stations. As chair of the board of IRIS, Lay organized the scientific analysis of the great Sumatra-Andaman earthquake of December 2004. At UCSC, Lay has served as founding director of the UCSC branch of the Institute of Geophysics and Planetary Physics (IGPP), director of the Institute of Tectonics, and chair of the Department of Earth and Planetary Sciences. He currently directs the Center for the Study of Imaging and Dynamics of the Earth, part of the IGPP. Lay earned a B.S. in geomechanics at the University of Rochester and M.S. and Ph.D. degrees in geophysics at the California Institute of Technology. 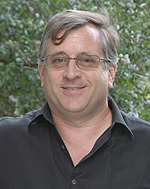 He joined the UCSC faculty in 1989.